Adolescence is a very challenging time for young people. 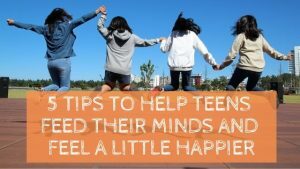 It is one of the most critical stages of brain development and it affects teenagers in different ways. One of the many factors that influence the growth of the brain is nutritional status. The brain consumes a vast amount of energy relative to the rest of the body. 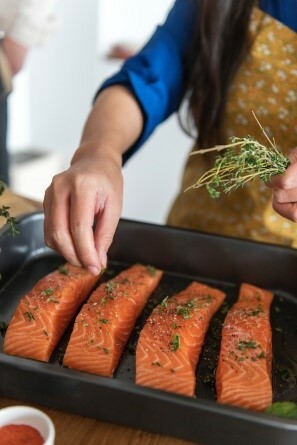 Eating the right foods affects brains functions such as being able to focus, concentrate and memorise, managing moods and emotions, managing behaviours and many more. So, what can we do today to help our teenagers nourish their brain and transform into healthy adults? Family schedules are rather hectic these days. Juggling work, sport activities, shopping etc… is a challenge. Deciding in advance what meals to prepare saves a lot of time later on, in the week. Planning ahead with the children is encouraging them to contribute with some ideas and they are more likely to eat those meals. Once you have planned your meals, you can buy exactly what you need for those recipes. Foods to supercharge the brain include: oily fish like salmon and mackerel, nuts, avocado, eggs, dark leafy greens (spinach, kale, rocket) and fresh fruits. Parents of teenagers will agree that having a full fridge is key to keeping everyone happy. Alongside the ingredients for the meals you have planned, it is a good idea to keep plenty of fresh fruit and vegetables for snacks. If the food is there, it will get eaten. Recent research shows that a large majority of teenagers do not eat the recommended daily 5 portions of fruit and vegetables. Let’s face it, it is not easy to eat healthy on the go. Schools are getting better but there is a long way to go still. So having food at home that is healthy and nutritious is a must to help growing minds! Great snacks to prepare at the beginning of the week include: hummus or any of other favourite dips with vegetables sticks (celery, carrots, peppers), plain natural yogurts with a selection of nuts & berries, boiled eggs, falafels and soups. You can also encourage your children to prepare smoothies with a mix of vegetables (spinach, kale, celery, avocado) and fruits. When you are working late or you are on business, teenagers may have to feed themselves. This is when the “what’s in the fridge” scenario comes up. If there is something nice they can heat up, great! But if there isn’t much, the temptation to call for a take-away is too big. The other option is to spend a little bit of time to show them how to put a really quick meal together which will be healthy and nutritious. Yes, it does mean investing a few hours of your time to show your teenager how to prepare a few simple meals. But what an amazing skill to pass on to your child! Once they leave home, they will be able to feed themselves well. This is a step towards healthy eating for life. That’s well worth considering. Now, if you feel that your cooking skills are not the best and you don’t have enough ideas to inspire your son or daughter, help is at hand. You can book a healthy cooking lesson to take place in your kitchen. More details here. So, you have prepared a lovely meal planned in advance, cooked possibly with the help of your son or daughter. Now it is time to enjoy this meal together, preferably at the dinner table. Understandably, it is not always possible. But research shows that when families share at least 3 meals a week, their children are more likely to have a healthy diet. So apart from keeping your children healthy, eating together encourages communication, builts better family relations, leads to better grades and leads to greater happiness in general. These all contribute to a healthier mind for young people. Long hours sitting in class or in front of a computer is very common amongst teenagers. But to keep the brain active and healthy, it is essential to move regularly. In fact, it is now well researched that physical activities and regular exercise contribute to optimal teenager brain development. As a family, it helps to have one activity you can all do together. It could be cycling, walking, running or swimming. Exercise helps teenagers and children of all ages think better, learn better and make them feel better in themselves. The brain is a powerful organ with so many vital functions. In this busy world full of temptations, we need to help teenagers take care of their body. As a parent, you influence your child on some many levels. Aim to be a role model when it comes to choosing the right food, preparing it and enjoying it. By doing so, you will help your child thrive and develop into a healthy adult with a food culture to be proud of.